Potash, a generic term for Potassium salts, is an extremely essential nutrient required by plants for growth. It is one of the three primary plant nutrients: nitrogen, potassium and phosphorus. Thus it is widely used in fertilizers and is available in forms like SOP (sulphate of potash), MOP (muriate of potash) etc. Due to its wide scale agricultural application, the demand for potash is highly correlated with production levels. 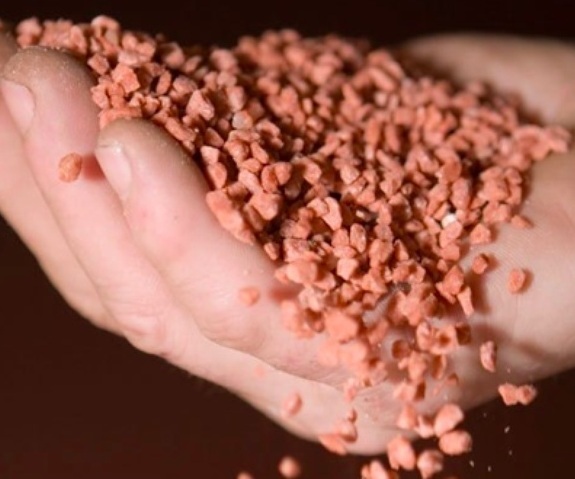 The projected one third increase in the global population necessitating increase in agricultural production by up to 70%, will potentially give a major boost to the demand for potash. Other factors causing agricultural production increases like food security issues and limited availability of arable lands are also likely to bolster demand. Potash is mainly extracted from underground evaporates, rock formations or water bodies like the Dead Sea. It is used wherever soil potassium levels are inadequate, and helps boost plant health and increase productivity. World Potash Market was valued at USD 8 Billion in 2016. The market is undergoing recovery and is expected to grow at a modest CAGR of 4% during the forecast period to reach a market size of USD 11 Billion by 2024. MOP accounts for the largest share in the global potash market. Its popularity can be attributed to its yield increasing qualities and competitive pricing. The fertilizer industry accounts for over 90% of the total potash consumption globally. Fertilizers for agriculture comprise the largest end use industry for potash owing to the immense importance of potash for plants and increased productivity. Geographically, Asia Pacific accounts for the largest market for potash in terms of revenue. This is mainly due to the thriving agricultural sector and reliance of a large percentage of the population on agriculture as a means of living. Latin America as well as Asia Pacific are expected to witness steady growth during the forecast period. Rising agricultural production and increasing fertilizer usage are the key factors driving the market for potash in recent years. Increase in global population, urbanization, rising incomes and consequently improving standards of living, decreasing arable land per capita and increasing demand for bio-fuels, animal feed are the factors contributing to the growth drivers. Change in consumption patterns and shift to protein based diets, rising affordability and expansion in emerging markets are some other factors propelling growth in the market. However, bloated global capacity and excess supply are acting as key restraints to market growth. The market has witnessed nearly a decade of falling prices. Various seasonal factors like rainfall, droughts and climate, and macroeconomic factors like inflation, per capita incomes also affect output levels. This in turn can adversely affect demand for potash. The market is witnessing recovery, especially in Asia there is a rebound due to low prices in countries like India and China. After nearly a decade of decline, shipments to China are expected to increase. Subsidy policy for potash in India has also changed recently.